I have been a fan of authentic Szechuan cuisine since I first tried it at Z & Y Restaurant in San Francisco a few years ago. I love the bold, pungent, and spicy flavors. This recipe is my riff on the flavors from that region. Heat the oil over medium heat in a large saucepan. Add chili peppers and whole Sichuan peppercorns and stir-fry until fragrant, about 1 minute. Add chili bean paste, half of the scallions, ginger, star anise, bay leaf , cardamom and cook about 1-2 minutes to bring out their aroma. Stir in mustard greens, preserved black beans and ground chili. Add the stock and turn up the heat and bring to a boil. Add Shaoxing wine, sugar, ground Sichuan pepper, soy sauce and mix well. 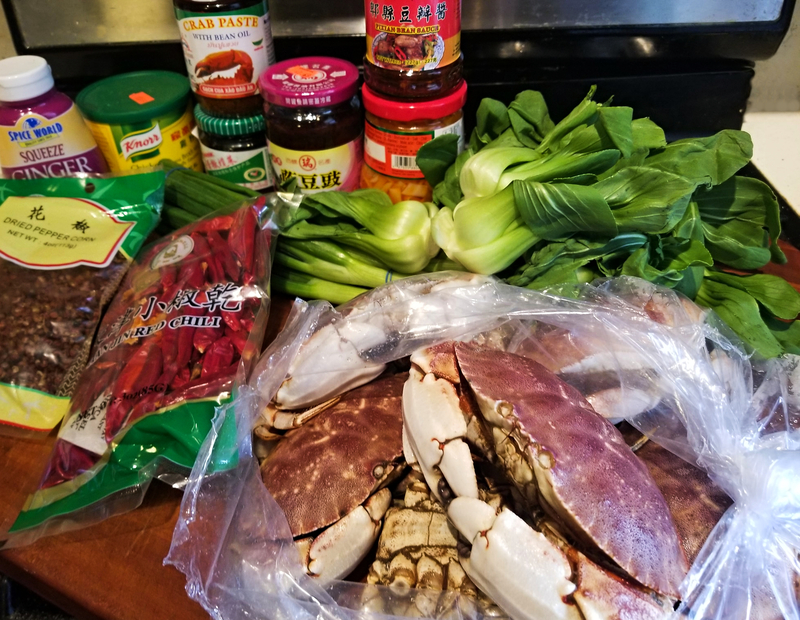 Add the garlic cloves and celery and the live crabs. Boil the crabs for about 7-10 minutes. Turn off heat, cover pot and allow crabs to soak up the spicy seasoning for about 20 minutes. Serve garnished with remaining scallions, and the whole chilis from the pan sauce. 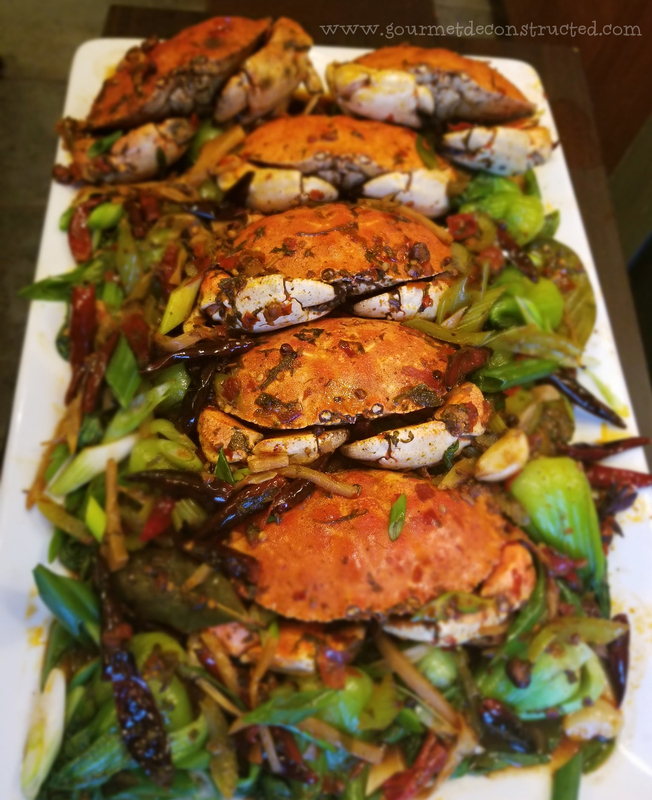 Posted on April 12, 2019, in Seafood and tagged asian cuisine, Chef Justice Stewart, Chengdu food, chili pepper, Chinese food, seafood, sechuan pepper, spicy, spicy cuisines, stone crab, szechuan cuisine. Bookmark the permalink. Leave a comment.